Since many teenagers have part-time jobs or get an allowance from parents, they have reached the stage of life where they decide how to spend money. While image plays an important role in teen spending habits, that's not the only factor influencing their purchases. In the U.S. today there are roughly 20 million teenagers. In the past, teenagers were a market advertisers largely ignored. These days, things have changed quite a bit. Marketing firms have realized brand loyalty starts at a young age and is often carried to adulthood. Researchers have also found teenagers have money, and they want to spend it, but they expect to work hard for that money, so they will be pickier about the brands and products they buy. 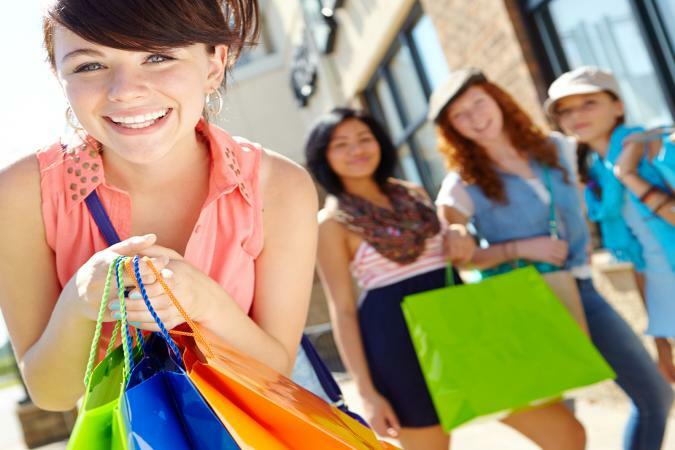 Teenagers are some of the biggest spenders, especially when it comes to clothing, gadgets, and entertainment. How Much Do American Teenagers Spend on Clothes? There are approximately 25.6 million teens in the U.S. market and parents spend about $4,000 to $4,500 on them. 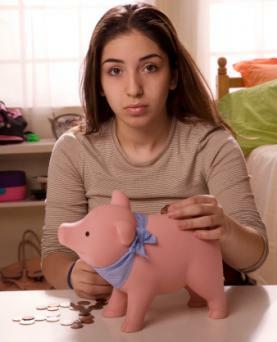 Teens who work make an average of $460 per month to spend on top of what their parents shell out according to a recent TD Ameritrade survey (page four). Even though teens might not spend every dollar they receive from jobs, allowances, or from their parents the amount of money they have to spend is significant. On average, teen spending accounts for roughly $250 billion dollars per year. The 34th semiannual Taking Stock with Teens survey by Piper Jaffray examines the spending habits of around 6,000 teens with the average age of 16. Each year their findings capture trends and shifts in cultural values giving parents and marketing professionals all the information they need to understand the spending power of this group. Current trends show teens and their parents are spending a little less than in previous years. Today's teens are money savvy and don't generally blow all their money on goods and experiences. About 50 percent of teens in the TD Ameritrade survey (page nine) say they've started saving money and around 40 percent have a budget for their finances. These smart money choices result in an average savings of nearly $300 per month. While about one-third of teens are saving up for clothes, technology devices, and cars almost half of them are putting money away for their education. Almost half of all teens name Amazon as their favorite website and about one in five prefer online shopping. That's not to say tons of teens aren't still shopping in brick and mortar stores. But, in their social and mobile world teens love the ability to purchase things they see on social media in a quick and easy manner. Food items account for nearly 25 percent of all teen spending, making it their biggest spending category. Starbucks remains a favorite eatery, but Chick-fil-A and McDonald's aren't far behind. Two things are clear from this data, teens love food, and they prefer to get it quickly. Spending time online or watching TV and movies are the top free-time activities named by teens. An IBM and National Retail Federation report indicates about 50 percent of teens spend their money apps and electronic goods. One of the main high-tech must-haves for teens is a smartphone. More than two-thirds of teens expect their next mobile phone to be an iPhone, which can cost owners an average of $1,500 each year. A recent survey by Mintel suggests 90 percent of teen girls and nearly 70 percent of teen boys use beauty products. The major products used include perfume or cologne, face wash, lip care, and hair care. A little over half of adolescents also use makeup products. Teens today use these items to boost their confidence and as a form of self-expression. While streetwear brands like Vans are gaining in popularity, common athletic brands like Nike and Adidas fall in teen's top five favorite clothing brands. Today's teen wants to be comfortable and ready for any activity. Trendy athletic clothes that can be worn in the gym or at any event are just the versatile attire teens need. Not just any old handbag will do, teens want designer purses from big names like Michael Kors. Other designers in the top five most coveted by teens include Kate Spade and Coach. These purses need to be as stylish and trendy as the teens wearing them and high-quality enough to protect valuables like smartphones and iPads. As young adults, teens have a lot of spending power. In addition to earning their paychecks teens also have a huge influence on their family's spending habits.